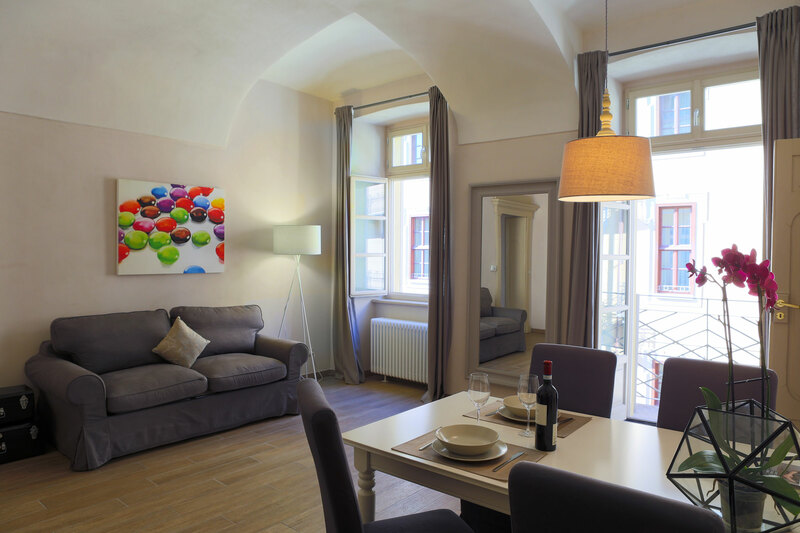 The Deluxe apartment is the ideal choice to visit and experience Turin with all the comforts of home, perfect for longer business trips in the city. It is bright, spacious and elegantly furnished, offering you all the relaxation, privacy and tranquility you are looking for. Furthermore, you can decide whether to use the kitchen or go out and experience the gastronomic delights offered by the best restaurants in Turin. 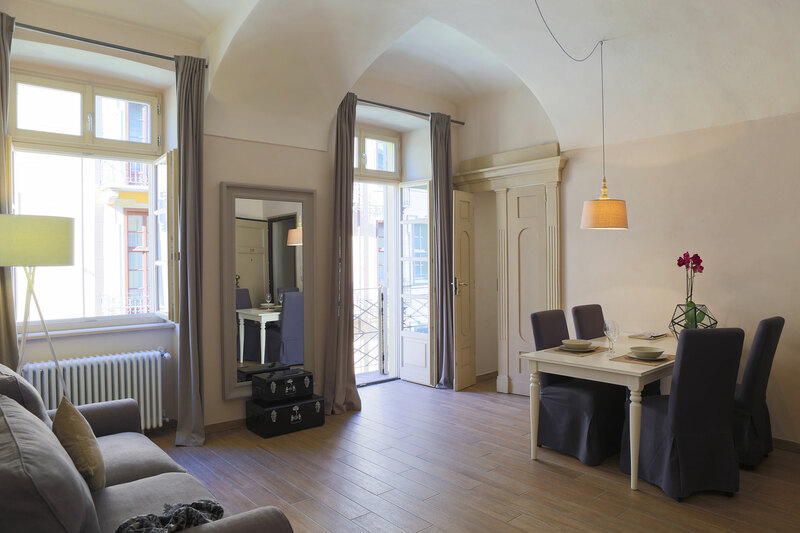 The double bed guarantees a good night’s rest in the quiet of the Residenza dell’Opera. The Deluxe apartment also features a comfortable sofa bed and, with the addition of a further single bed, can accommodate up to five people. The kitchen is equipped with everything necessary for cooking and allows guests to organise meals as if they were at home, while the living room offers a great space for unwinding and socialising. 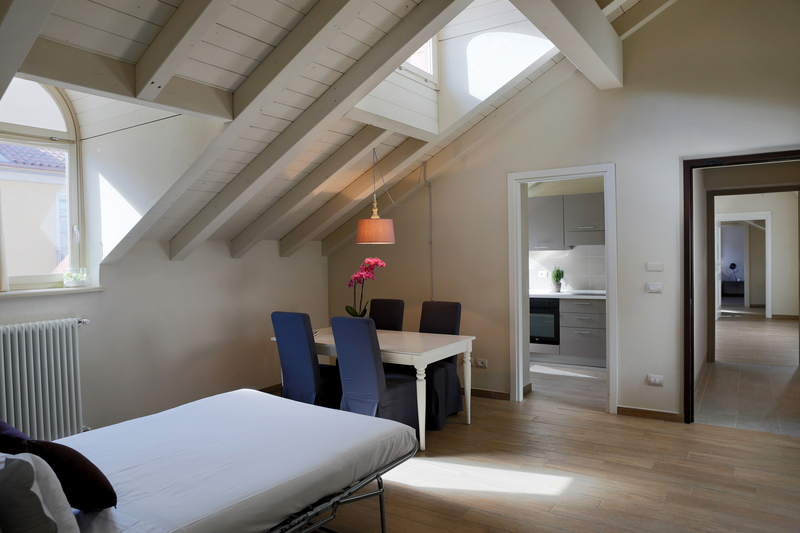 Choose the Deluxe apartment if you are looking for a solution for a longer-term business trip in Turin, especially if your family is travelling with you or joining you for a few days. 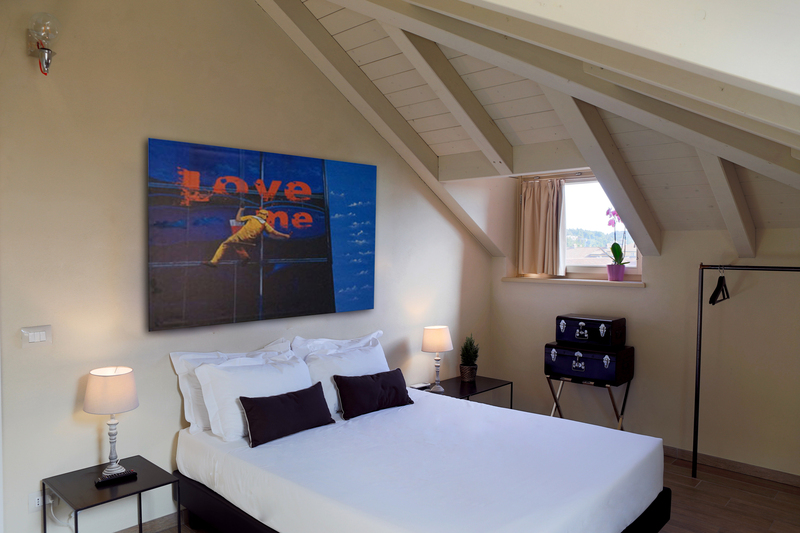 The apartment is perfect for adults and children and anyone looking for a comfortable and homely atmosphere. Our city offers attractions and fun for everyone and experiencing city life is easy thanks to the central location of the Residence, close to all the most beautiful and popular places to visit in Turin.